Everyone of us want fancy, mobile friendly, lightweight and gorgeous menu for our website but, it is not an easy task. So, we start searching for CSS menu makers where we can design nice menu quickly and easily without fiddling with code. 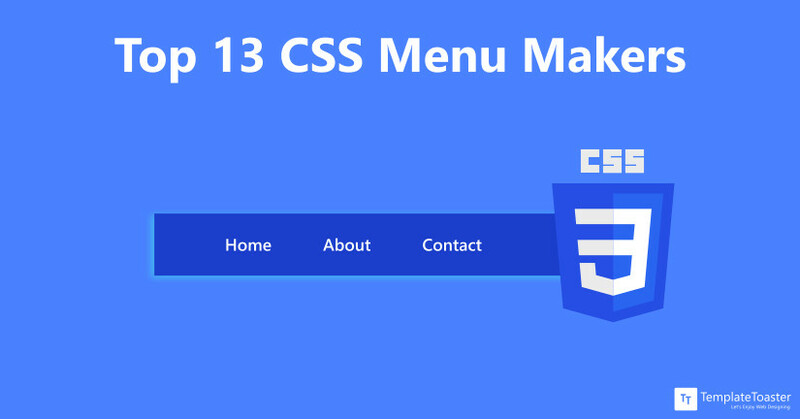 To solve the problem, we have written this article to get you familiar with CSS menu makers and you will able to choose the best CSS menu maker available in the market. 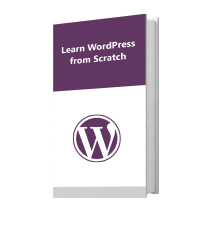 You may also read best WordPress menu plugins. TemplateToaster can create cross browser compatible CSS menus. It has vast collection of pre-built menu templates. It has advance features and generate various type of menus such as horizontal menu, vertical menu, responsive menu, mega menu , footer menu, hamburger menu, bootstrap based menu and even you can design menu from scratch. With TemplateToaster web design software, you can kill two birds with one stone as it is has numerous menu building options and on the other hand it is crowd favourite website builder with tons of features to create eye catching website. Moreover, it offers unlimited free trial. 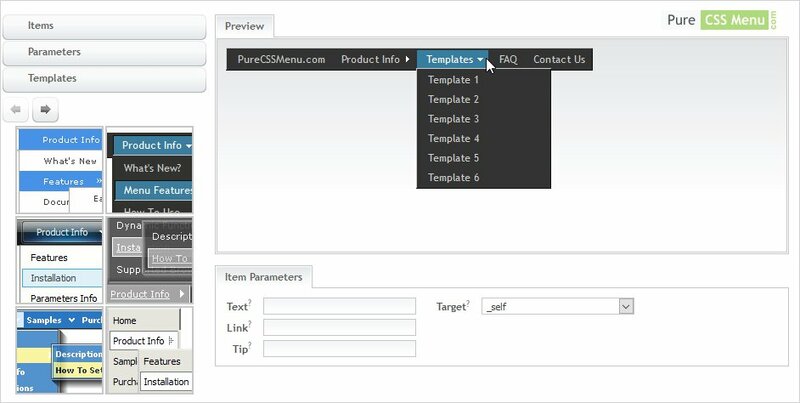 CSSMenuMaker can easily create professional and dynamic menus for your site while investing just a few minutes of your time. This well renowned menu generator is packed with more than 100 professionally designed menu themes. It supports three levels of submenus. It also Supports all modern mobile devices such as iPhone, iPad, BlackBerry, Android, Windows Phone. Menus created are adaptable to any screen size. It allows to customize menu width, font sizes, alignments and color. You can add your own custom CSS and have better functionality. 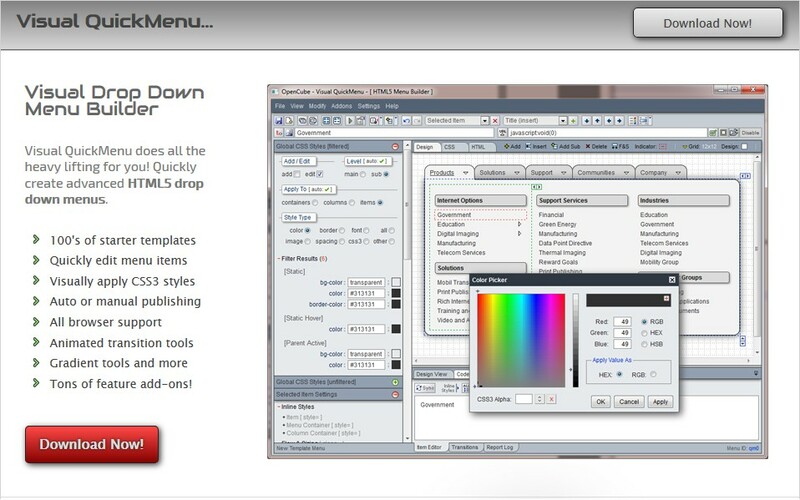 Drop Down Menu Generator has an easy to use editor and you can choose from numerous pre-built templates that you can customize as per your requirements. Its feature “multiple levels of hierarchy” is very effective, it allows professional navigation menus to your site. Other features include vertical or horizontal orientation, multi-column submenus. Its amazing feature “vector icon” has the set of 120+ icons. It offers general icons, icons for social networking, multi-purpose icons, multi-column submenus and many more things. It is shipped with 60+ the most popular web fonts. Adding images to the menu provides visitors with visual information plus it gives nice design to menu.It also offer expandable and collapsible submenus. Created menus are lightweight, fast, accurate and does not increase the size of pages. This Sothink DHTML Menu Generator has rich templates and preset styles so you can create professional DHTML menus in no time. Its plugin can integrate with FrontPage, EW,and Adobe Golive. 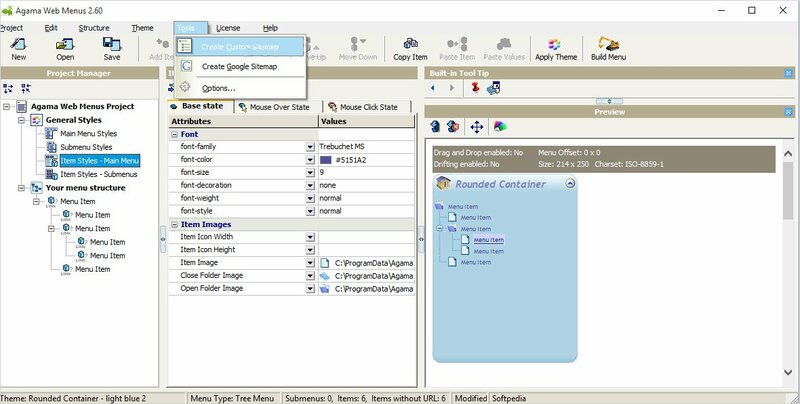 It offers lots of customizing options like font, icon, tooltip, background, border, cursor etc. and the work is done without fiddling with coding. 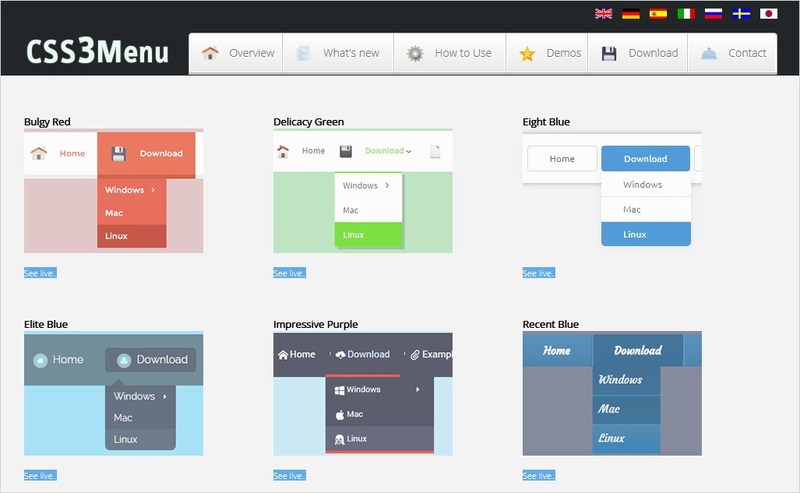 It provides over 100 templates, 30 styles and an image library. Allwebmenus Pro comes with variety of powerful features. This CSS menu generator has lots of Icons available for use. In menu items you can also add floating images. The platform is compatible with commonly used browsers such as opera, IE, Firefox, Safari, Chrome, Mozilla, Konqueror, and more. Tool Works with all CMS and Blogs like Drupal, Joomla, WordPress, DotNetNuke, Expression Engine, CMS Made Simple, Typo3 etc. It offers theme gallery where you can find pre-designed menu themes and choose from them. Swimbi offer lots of menu designs are created by professional designers. It provides unlimited menu icons. There is no limitation to menu creation and customization. It is shipped with 18 rollover effects for main menu and 6 for submenu. 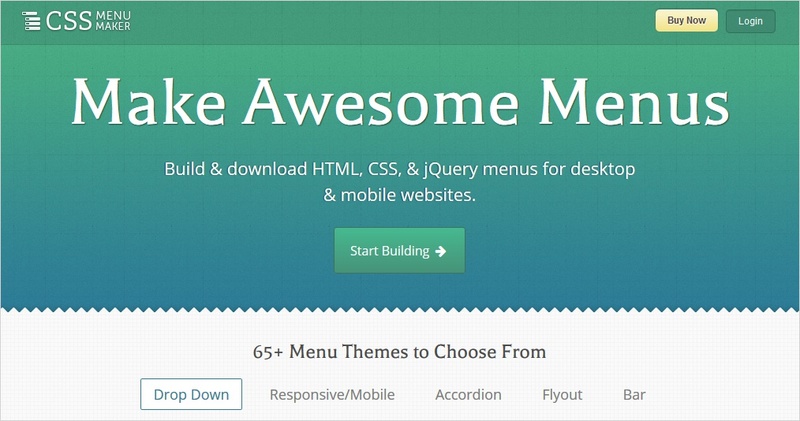 This magnificent CSS menu generator has 28 overlay patterns for main menu. Easy Button & Menu Maker has more than 250 elegant design templates and reflects various trendy design styles. It has tons of icons and also offers amazing visual effects. It includes a set of the latest trendy Mac, Glass, Windows 7 and Metro styles. In one package you get two great tools. Menu and button created with it are fast, compact and compatible with almost all modern browsers. Menus generated by this menu maker work on Desktop, Tablets and Smartphones. 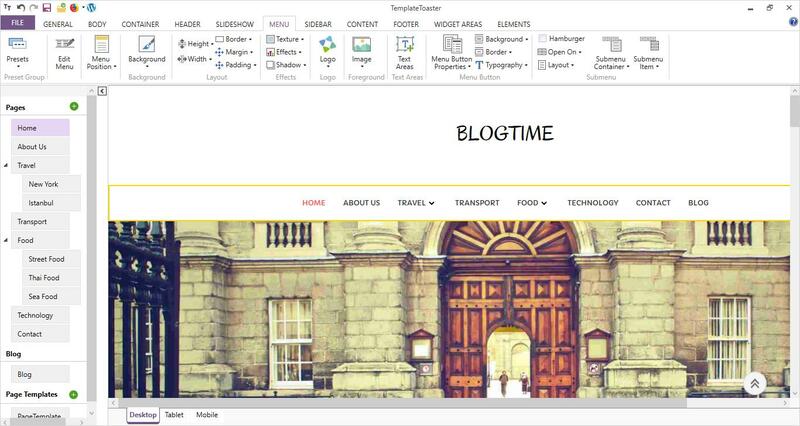 Its Visual drag & drop editors is really easy and pleasant to work with. DHTML Menu Builder has Multiple alignment options to display the submenus in any way you imagine. It comes with live preview where you can see the style changes in real time. Tool selects the perfect size for menu based on the content. You can even manually adjust size as as per your needs. It has special “In-Menu Scrolling” feature that helps to create long menus. The feature that make DHTML Menu Builder unique from other menu creator is “Special Effects” which add drop shadow, transparency and sunken effects when the mouse passes over menu. Agama Web Menus Application has hundreds of predefined menu templates. You generate several types of menus such as Dropdown Menus Popup Menus, Navigation Bars, Buttons Menu, Bookmark Menus,Tree Menus, Dropdown Tree Menus etc. Detailed documentation and in-built context help will provide you deep detail so that you can master the program functions fast. 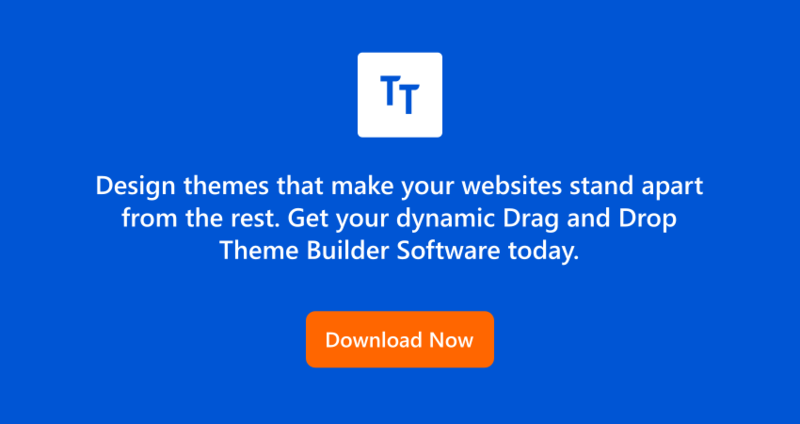 Tons of configuration attributes will help you to customize each and every thing of your DHTML menu. The applications has advanced features such as copying properties of individual menu items and copying the properties of whole submenus. 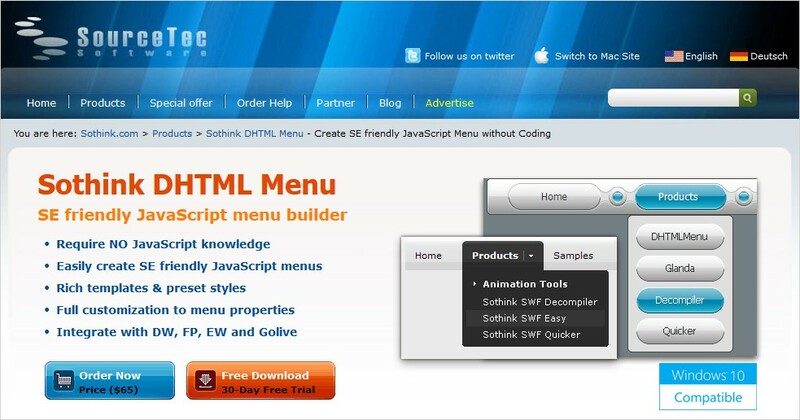 Menu application compile DHTML menu in effective way and without much effort. Tool show all the modifications on the preview panel straight away. Using other CSS Menu Makers ? If you are not satisfied with CSS Menu makers you are using. 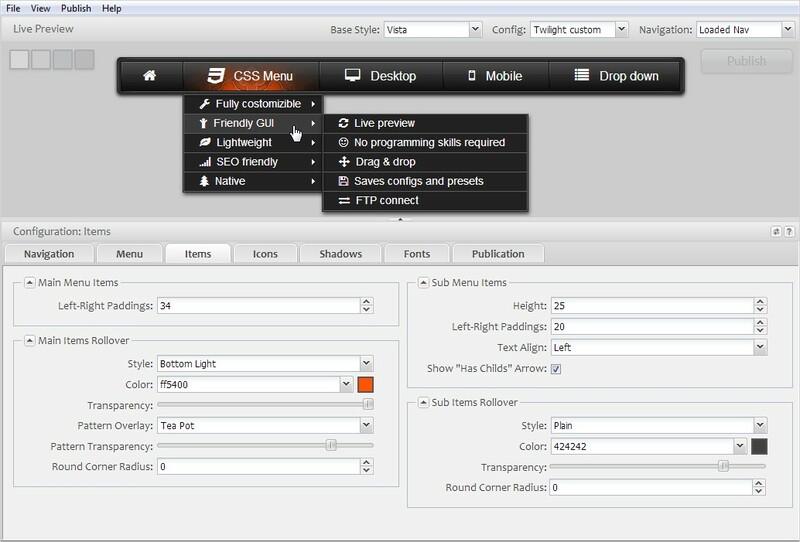 Try the list given in this article, we have reviewed and showcased free CSS menu generators. You can experiment with them. They have all necessary features and options to make eye -popping menus. Let’s discuss your views about best CSS menu makers in comments.